Anyone who knows me also knows that I'm addicted to coffee and over the next few weeks, I plan to take a short break from the Commercial Space blog to drink some coffee and also watch some television, go on a date, read the newspaper (before they disappear altogether) and generally recharge my batteries. I'm also going to see if it's possible to turn this blog into a revenue generator. There are certainly some interesting ideas that I've come across over the last little while that might be practical and worth a second look. These ideas include fund raising and financing opportunities relating to crowd sourcing and crowd funding and the development of aerospace specific community installations such as hackerlabs and business incubators. I'm also going to learn a little more about the Canadian venture capital and angel investor communities and their various criterias for funding different projects. I'd also like to take some time to learn a little more about the people who actually work in space related industries whether they're with Telesat, MacDonald Dettwiler and Associates, COM DEV, working directly with the Canadian Space Agency or even hourly unionized employees with Canada's largest private sector union representing aerospace employees at Boeing Canada (Local 2169), Bombardier/ de Havilland (Local 112), Cascade Aerospace (Local 114), CMC Electronics, Magellan Aerospace/ Bristol (Local 3005) and Pratt and Whitney Canada (Local 510). 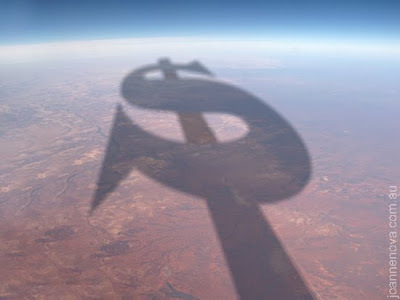 The Commercial Space blog will return in January 2010 with all new posts on the 2010 Canadian Space Commerce Association annual general meeting plus more newspace and aerospace related news and maybe even a few opportunities to make a little money off the high frontier. Preparing for the Next Great Canadian Gold Rush! Today John Chapman sits at his desk in J A Chapman Mining Services where he provides general engineering and mine economics consulting for a variety of mining companies, but he started out in the field doing exploration, development and operations work for bigger firms including Placer Dome and Manalta Coal (then Canada's largest coal company) where he developed strong technical, managerial and administrative skills and learned how to operate major mining equipment such as loaders, dump trucks, bulldozers, graders and scrapers. At one point, he even acted as a welder on the Distant Early Warning (DEW) Line high up in the Canadian Arctic. But all this practical expertise might just make him a bit of an anomaly in his other role as an advocate focused on the commercial development of useful space technologies. This is an area of expertise heavily populated by narrowly focused academics and scientists who often seem more comfortable writing well crafted abstracts for theoretical symposiums than going out in the field and getting their fingernails dirty operating heavy machinery. I am a semi-retired mining engineer that for the past nine years has invested in the space industry and at the same time worked to raise the Western Canadian awareness of the importance of space science and technology to Canada and to society in general. I have authored and presented several papers on mineral exploration, mining and finance at space conferences in China, Europe and Canada. In 2008 I was the lead organizer and sponsor of the Return to the Moon event at the BCIT Aerospace Campus in Vancouver that featured Harrison Schmitt, Tom Jones and Robert Richards (see www.bcit.ca/returntothemoon). As the "space champion" on the UBC Thunderbird Robotics Advisory Board I am pleased to report that the Team just returned from placing sixth at the NASA Centennial Challenges, Regolith Excavation Challenge at the Ames Center in California. They used UBC students that were US citizens in order to qualify in the Competition. …the reason for me writing this letter is to seek your support in creating a system of prizes for Canadian universities, business and individuals, similar to the NASA Centennial Challenges in the USA. It is my opinion that a Canadian system of prizes will yield greater and faster returns for government and private space investors. I quote from this week's Economist in the Science and Technology Section, "…provided ample demonstration of the effect, long known in technology-prize circles, that the money and effort invested in winning far exceed the financial value of the prize itself….in the right context, and with right design, prizes can work. Their other advantage is that – in contrast to the fat government contracts on which much of the aerospace industry thrives - the money is handed out only when the goals are achieved. That is a lesson in incentives that governments would do well to remember". So far there has been no response to the letter by CSA officials but Chapman believes that “someone needs to be the Western Canadian champion” for this sort of activism to train the next generation of mining engineers, experts and space focused entrepreneurs. 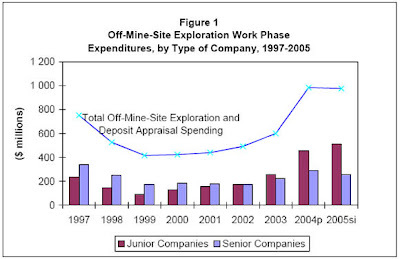 He also believes there are lessons to be learned from financing mechanisms used in the mining industry where the high up-front costs, expected long lead times before generating a profit and adverse physical conditions create surprisingly similar financial and technical constraints no matter where the mine happens to be located. Even if that mine is located on the Moon, states Chapman unequivocally. He cites financial tools and tax credits used specifically to build the Canadian mining industry as tools which can also be used to build aerospace and newspace focused Canadian business. One of his suggestions is to expanding the use of something called “super” flow-through shares and related investment tax credits to include space focused investments. He recently co-authored (along with several executives from MacDonald Dettwiler and Associates) the paper titled “Creating a Robust Canadian space research exploration and development industry” which focused on these investment tax credits and was presented at the 2008 Canadian Space Summit. But both financial and educational processes and procedures need to be in place in order to grow Canadian opportunities and that’s why Chapman always talks about both mining the moon and funding student prizes to teach people the necessary and practical skills needed to do this successfully. Chapman is on the Advisory Board of The UBC Thunderbird Robotics TEAM TREAD that was recently profiled in the November 2009 issue of Resource World along with a second article titled “Mining on the Moon Revisited” by author Jennifer S. Getsinger. Previous articles in the publication have profiled astronaut Harrison Schmitt and mining helium 3 on the moon (June 2008). The Canadian Space Summit begins this Friday, November 20th and continues on until Sunday afternoon, November 22nd at the Royal Military College in Kingston, Ontario. The goal of the Summit is to engage industry, decision-makers and the public in an open and positive discussion of the future of space exploration and development through lectures by invited speakers, panel sessions and networking opportunities. The speaker list and schedule for the Summit is posted on the Canadian Space Society (CSS) website here and, according to CSS President Kevin Shortt, "things really look like they are shaping up for a great conference." Jacquie Perrin from CBC Newsworld has agreed to be our host for a talk show-style question and answer period with all the session chairs during the Friday night registration session. Of course, not all media coverage is from the mass media. Social media users like Jay Daily have also posted comments and information on the Space Summit of sites like facebook, twitter and others. The Canadian Space Agency (CSA) has just released it's 2008 State of the Canadian Space Sector Report with conclusions reflecting consistent double digit growth for Canadian space focused firms much in line with other recent reports published on the Commercial Space blog including "Satellite Market "Remarkably Unaffected" by Global Economic Crisis" and "Canadian Component Builders "Moving Up the Food Chain" to Build Complete Satellites." According to the report, the Canadian space sector employed 6,742 people in 2008 with increasing revenues to $2.79 billion which is a 17.8% increase over the previous year. The top ten highest earning space companies each showed double digit real growth ranging from 12% to 48%. 2008 was a year marked with success for the Canadian space sector, where commendable accomplishments were only possible through the collaboration between the CSA and the Canadian space sector. Maybe some (or even perhaps quite a bit) of the growth in our national market over the last year could be reasonably attributed to CSA "seeding", guiding or otherwise developing opportunities and collaborating on new developments. But certainly the recent success by Telesat, MDA and others in the international marketplace is the results of efforts by the companies themselves and not directly related to any specific or ongoing CSA activities. The 2008 Canadian Space Sector Report, prepared by the CSA Policy and External Relations Directorate is available on the CSA website for download, along with copies of the previous years reports. 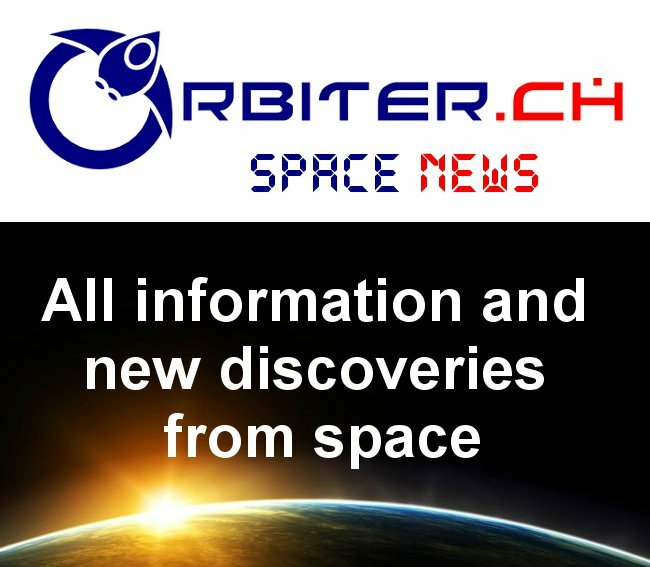 According to the article "Space markets post strong growth, defy economic crisis" which was posted yesterday on the SpaceFlight Now web page, markets for commercial communications satellites, Earth observation spacecraft and their launchers are all "remarkably unaffected by the global economic crisis" and continue to soar ever higher with yearly double digit growth. 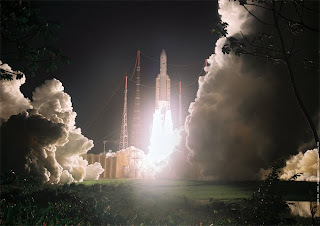 The article is based on recent report from a variety of sources, including consulting firms Northern Sky Research, Euroconsult, Futron Corporation and Forecast International and include assessments of commercial satellite supply and demand plus growth in the world market for expendable launch vehicles, both of which are expected to continue along their existing strong growth trajectory for at least next several years. One exception to the generally positive forecast is the "Space Coast" region around Cape Canaveral and the Kennedy Space Center. ...very little of this new business will be launched from the world's foremost spaceport. Without new Presidential direction on human space goals, KSC is seemingly "moon stuck," facing major layoffs as the shuttle program ends. And the growth is also detouring around Cape Canaveral's expendable boosters because the United Launch Alliance Atlas 5 and Delta 4 largely priced themselves out of the commercial market, now better satisfied by Europe's Ariane, the Russian Proton and Chinese boosters in emerging markets. In Canada, although there are no long term goals being set through the Canadian Space Agency (and with the CSA still patiently waiting for President Steve MacLean to release his update on Canadian space policy) local firms are well positioned to either expand into new areas of expertise (like what satellite component builders MDA and COM DEV are doing as described in my recent post "Canadian Component Builders "Moving Up the Food Chain" to Build Complete Satellites") or partner with larger firms (as Nautel has done with Ad Astra Rocket Company). Recently, four commercial satellite services providers (EchoStar, Intelsat, SES and Telesat) formed the Coalition for Competitive Launches, an organization aimed at officially enhancing worldwide competition in the provision of commercial satellite launches but which unofficially seems to be focusing primarily on American launch providers. It's interesting to note that portions of what the American Institute of Aeronautics and Astronautics (AIAA) has called one of the "Top Ten Emerging Technologies for 2009" are being designed and built, at least in part, by a small firm based out of Hackett's Cove in Nova Scotia. Nautel, a Canadian manufacturer of AM and FM radio broadcast transmitters has been credited (along with the Ad Astra Rocket Company and NASA, where most of the preliminary research was undertaken) with commercializing the Variable Specific Impulse Magnetoplasma Rocket (or VASMR) to the point where it will be ready for orbital testing aboard the International Space Station in 2013, according to the article "New rocket engine could make trips to Mars realistic," originally posted on the Canada.com website. The company, previously best known as the first to develop a commercially available fully solid state broadcast transmitter, can certainly point to a history of successful technology commercialization to back up the current claims. A new NASA rocket engine, designed partly in Canada, raises the revolutionary possibility that a manned trip to Mars could take less than three months instead of two years. Although the expected thrust of the system isn't high enough to overcome planetary gravity and it must be launched into orbit using conventional rockets, the continuous (if low powered) thrust of the VASIMR system allows for the build up of velocities which substantially decreases overall travel time between planets. VASIMR is one of a dozen or so ion or "plasma type" propulsion systems currently on the drawing board, according to the Atomic Rockets list of potential engines for spaceflight which includes some basic VASIMR schematics. According to the website, one of the main advantages of the systems is it's ability to "shift gears" and "trade exhaust velocity for thrust." This feature is also reflected in NASA Technical Paper 3539, titled "Rapid Mars Transits With Exhaust-Modulated Plasma Propulsion." 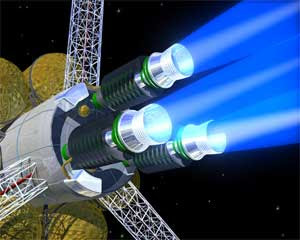 Until recently however, VASIMR was considered one of the least likely plasma propulsion systems to ever become commercially viable given that quite a few different plasma designs have been ground tested and a few (including Hall effect thrusters, arcjets and ion thrusters) are either already operational as part of existing satellite propulsion/ steering systems or else have been at least successfully tested in the space environment. In essence, VASIMR was considered an "also ran." Nautel's focus will be on building the high power RF amplifier for "plasma generation and subsequent acceleration in an electric spacecraft propulsion system" according to documents available on their website. Ad Astra is acting as the prime contractor for the project. Laws, contracts, definable milestones and proper procedures are certainly useful to the ongoing success of any business venture. But sometimes the rules are already in place to serve as useful guides to obligations and responsibilities and at other times (in an unregulated environment) we end up making up the rules as we go along. Maybe that's what handshakes are for. But while the signs are good (especially based on some of the early work relating to satellite orbital slots), only time and further discussion will define the legal rules and responsibilities relating to access to the high frontier. For example, the United Nations has just released the document "Debating Outer Space Cooperation, Fourth Committee Hears Growing Number of Actors in Outer Space Could Risk Security of Space Assets, Limit Scope of Peaceful Uses" as part of their sixty-fourth General Assembly activities. The document is interesting, not only for what it does say but also for what it doesn't say. For example:. Highlighting the many ways in which space technology had proven essential, not only for exploring outer space, but also for addressing many of the global challenges facing the world today, the representative of Sweden, speaking on behalf of the European Union, said that the growing number of actors in outer space could risk the security of space assets. There are certainly a lot of agencies and organizations focused on activities related to outer space and space exploration. 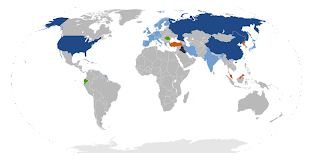 For example, a Wikipedia list of "government only" space agencies includes over seventy players with over a dozen possessing independent launch capabilities including the Israeli Space Agency, the Iranian Space Agency, the French Centre National d’Études Spatiales (National Center of Space Research) and the National Space Agency of Ukraine. And the Wikipedia list doesn't include any of the up and coming newspace private sector players, the universities (focused on research but with the capability to build and control satellites) or the private telecommunication companies also operating satellites. Without even a proper inventory of the players it's not yet clear what type of cooperation is required in order to protect "the security of space assets" and the UN document doesn't really go into a lot of detail. 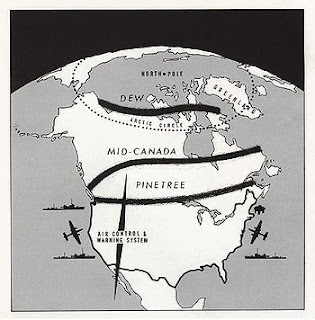 As a guess, this phrase might relate to keeping military focused activities out of the high frontier but reconnaissance has always been a legitimate military activity and it's often difficult to tell the difference between military satellites directing cruise missiles and civilian satellites tracking commercial aviation (GPS satellites have distinctly military origins). There is also an entirely reasonable concern over the tracking and cleanup of space debris to "keep the orbital channels free" for manned and unmanned spaceflight activities.The Sapphire project, partially organized by the Department of National Defense (DND) as part of it's contribution to the US Space Surveillance Network is a sample of Canadian contributions in this area.. But the phrase might also be intended to focus on issues surrounding banning weapons from space and at first sight, there does seem to be an obvious differentiation between weapons and other objects like reconnaissance collection devices or data transmission satellites. However, remember that any object impacting at 3 km/sec delivers kinetic energy equal to its mass in TNT and this includes any object accidentally (or intentionally) falling out of orbit. So any object placed in orbit can act as a weapon no matter what it objectively looks like or ostensibly does simply by dropping out of orbit. Most satellites do that eventually. And then there's the The Kzinti Lesson, taken from a series of science fiction novels by Larry Niven where it was discovered that "a reaction drive's efficiency as a weapon is in direct proportion to its efficiency as a drive." This means that anything able to lob an object into orbit is also likely to make a pretty reasonable weapon in a pinch. Perhaps these are some of the reasons why the US doesn't want China, Iran or North Korea to possess a satellite launch capability. Here's our best guess of what a near future space war would look like. Current UN delegates might remember the 1967 Outer Space Treaty, one of the first attempts to develop an internationally recognized set of laws governing space activities. 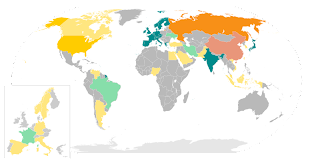 Although it's been ratified by almost 100 nations and is primarily focused on banning space based nuclear weapons and weapons of mass destruction, the treaty provides no proper definition of what weapons of mass destruction are and doesn't forbid the placement of more "traditional" weapons in space. It also contains clauses covering "international responsibility" which are commonly perceived of as being a hindrance to space focused business activities. Only time will tell how these current UN discussions and position papers effect business opportunities in the high frontier. Hopefully, the UN will not just attempt to simply deny access to space until the legal concerns and conflicts are ironed out. According to the recent Space News article "MDA Eyes Telecom Satellite Prime Contractor" by Peter B. de Selding, Canadian space subcontractor, MacDonald, Dettwiler and Associates Ltd. (MDA) is actively competing for contracts to produce complete commercial telecommunications satellites among central Asian nations that were once part of the ex-Soviet Union. We’ve been winning pieces of communications satellites … on other people’s satellites. As we go forward, we see opportunities to sell complete satellites. We’re putting our own communications payload on it, which increases our value added and our margins. This MDA initiative follows closely on those of Ontario-based COM DEV International to inaugurate its own line of small satellites. According to ComDev CEO John Keeting, as quoted in the article "Today’s investment climate ‘sad,’ COM DEV chief says" the firm is doing as well as anytime in it's history and is investing heavily in new technology and new products even during the present tough economic times. Most recently, an American based ComDev subsidiary won a $7 million USD contract to supply space equipment to the US government. As these two traditional pillars of the Canadian space industry grow from niche player into prime contractors, a number of newer players are developing innovative components, creating new, knowledge intensive jobs and winning contracts from government and private business all the while generally turning into profitable, skilled replacements for the roles that MDA and COM DEV are hoping to grow out of. For example, according to the recent SpaceRef.ca article "Canadian Technologies Featured on ESA Proba-2 Mission" three smaller Canadian companies are contributing to the upcoming European Space Agency (ESA) PRoject for OnBoard Autonomy (Proba-2) satellite which contains the following Canadian components. New models of reaction wheels from Microsat Systems Canada Inc. (MSCI), a privately held company that was formerly the space division of Dynacon Inc.
A fibre-sensor system for monitoring temperatures and pressures around the spacecraft, developed by MPB Communications Inc.
New guidance and navigation computer algorithms developed by NGC Aerospace. Canada jumped nearly 10 percent in SCI points (a Futron developed measurement of the business climate and how investment is made in the space industry) based on government metrics around both civilian and military space policy, along with a commitment to increase overall funding on space programs. Canada ranks well in human capital indicators due to its strong academic network and large number of university aerospace programs and civilian research centers. The only exception to this and other rather positive reviews of Canada is still the recent Near Earth LLC report on Small Aerospace Companies, which indicates that the Canadian Space Agency (CSA) provides "no dedicated programs to small aerospace firms" at least when compared to organizations like the National Aeronautics and Space Administration (NASA), the National Oceanic and Atmospheric Administration (NOAA) and the European Space Agency (ESA).